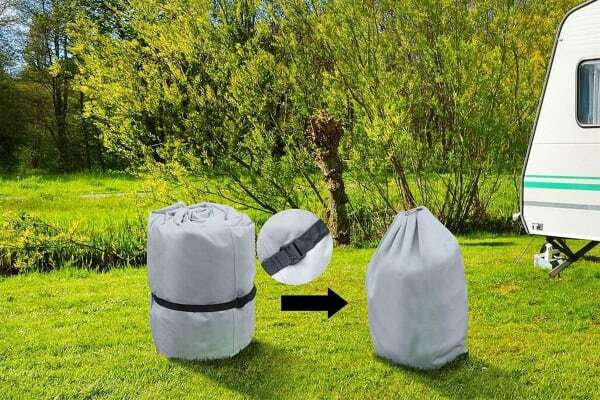 Protect your caravan from wild weather and harsh sun with this heavy duty caravan cover, built with durable four-layered waterproof, non-woven polypropylene that’s engineered to withstand damaging UV rays and mould. 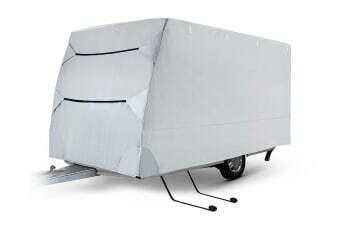 Get peace of mind for the safety and storage of your precious caravan with the Komodo Heavy Duty Caravan Cover, helping to protect your paint job from harmful UV rays and mould-triggering water damage. Built with tightening straps to secure your cover against windy weather conditions and an elastic hem to seal in the protection, shield all corners of your caravan with ease thanks to the Komodo Heavy Duty Caravan Cover. 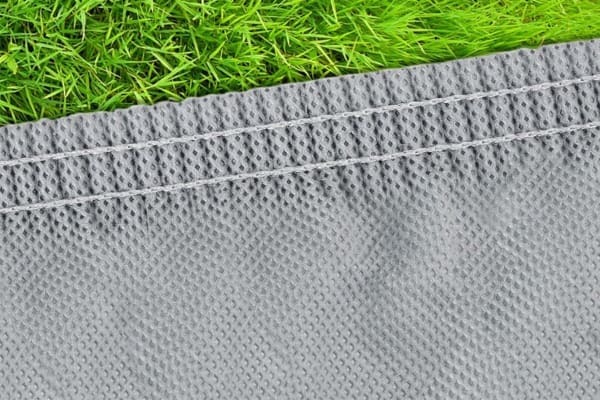 When it’s time to set-up or pack down for your camping trip, simply zip open the panels, lift off and go!